Hooray Hooray the end of May, That means summer is on its way!! Ok….a poet I am not, however, today is Monthly Favourites day in The House of Lotz and I am super excited to share with you what I have been loving over the last few weeks. As part of my effort to relax more, I have rediscovered Camomile Tea. 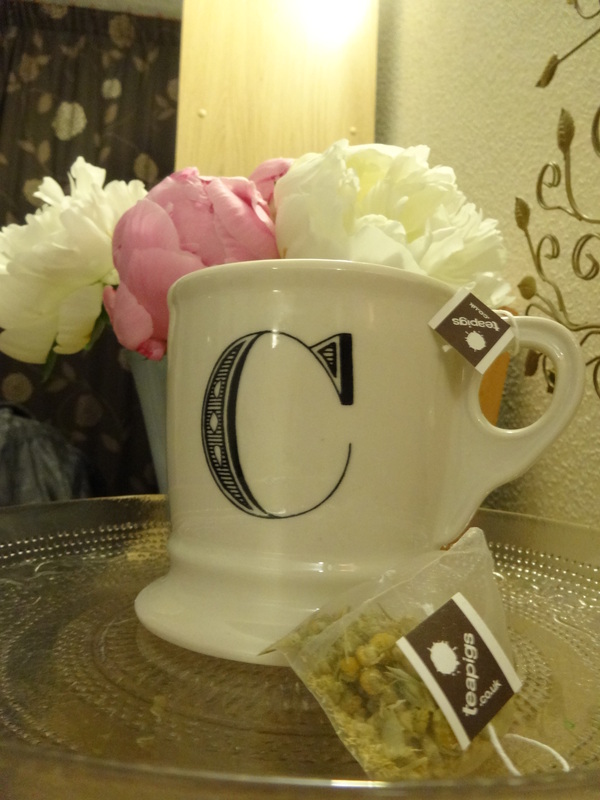 As part of my evening routine I normally go for a mug of peppermint tea to finish up my day, but I am now switching it up and found that the camomile is really helping me to relax and drift off to sleep. I love the Teapig Camomile because it doesn’t taste too much like pond water, and it smells really nice. This might be cheating a bit, but, I am lumping these two little god sends into one favourite this month. I don’t use one without the other, so I feel thats fair….right??? As I mentioned before, my nails where very recently butchered by some bad shellac, so, in an attempt to save them, I invested in some Essie Cuticle Oil. I tried a few in Boots and Superdrug and this is by far the best for the price. It smells like apricots and it not to greasy. This little guy was doing an amazing job by itself, but as an intensive treat I paired it with my cotton gloves for an extra boost of hydration. This has worked so well that next week, I am putting up a nail care tutorial…..watch this space for super soft and manicured hands :-). Summer is on it’s way…..yaaay!! I love that amazing moment when my fluffy boots can be packed away until the leafs start to turn, and in their place come the sandals……but wait…..my toes are nowhere near ready for that!!! 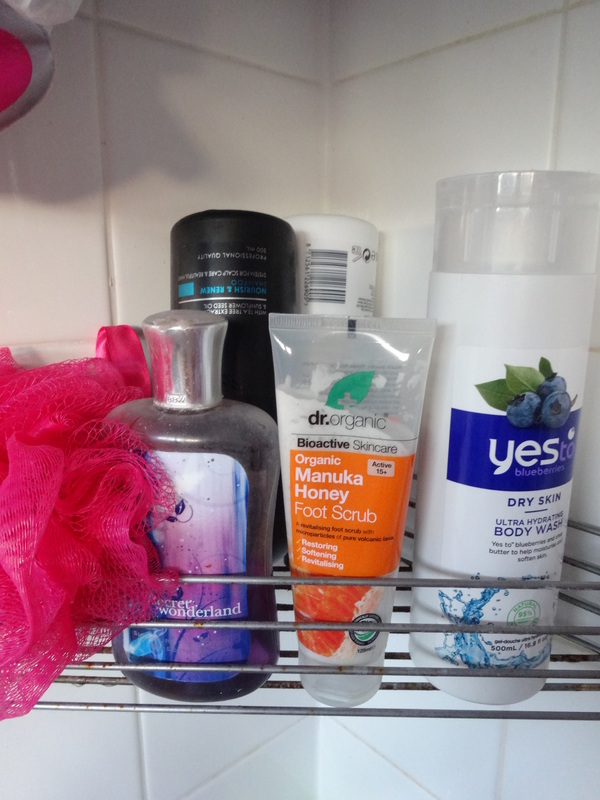 To save the day this amazing Doctor Organic Manuka Honey Foot Scrub. With its super fine exfoliating particles, this honey scented scrub buffs and smooths your feet into sandal ready perfection. This used once a week, and paired with a luxury foot balm (any recommendations….mine just ran out) will keep your feet in pedicured perfection all summer long. 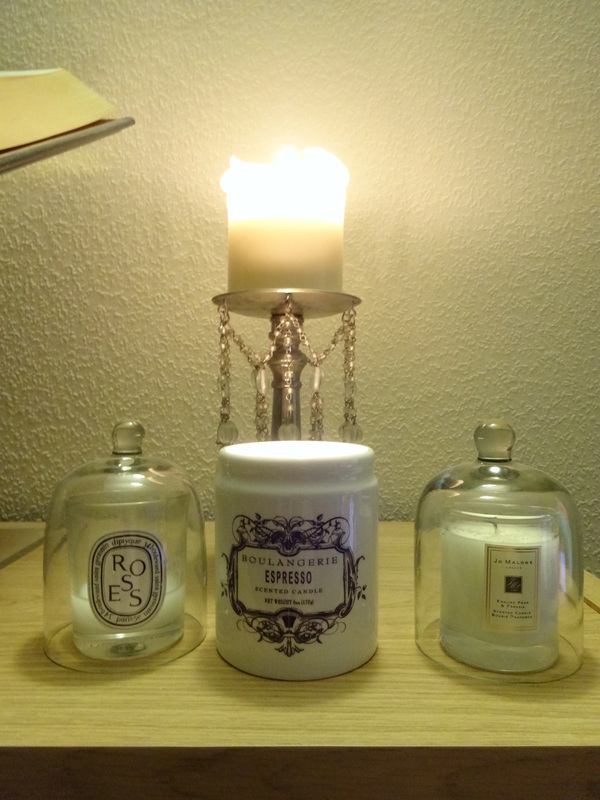 As you may have noticed, I might be a bit partial to a good candle. They instantly create a beautiful atmosphere to a room without requiring too much effort. At the beginning of the month, myself and The Boy went down to Sunny Bath to spend some time with our wonderful friends. On one of the days we where there, I popped into Anthropology. I am addicted to this store, particularly the one in Bath. It always has a great atmosphere and the staff are fab!! Anyway……when I popped in, they had this beautiful Espresso candle burning and I just fell in love then and there. It does not have an over powering coffee smell to it, but a beautiful uplifting sweet coffee fragrance. The only thing I can compare it to is the smell of a 1 shot vanilla latte. This fragrance instantly appeals to the part of me that loves breakfast, making this little guy perfect for an all day candle, without having to resort to a floral scent. This month I have been going very off script for me and using a smaller handbag. 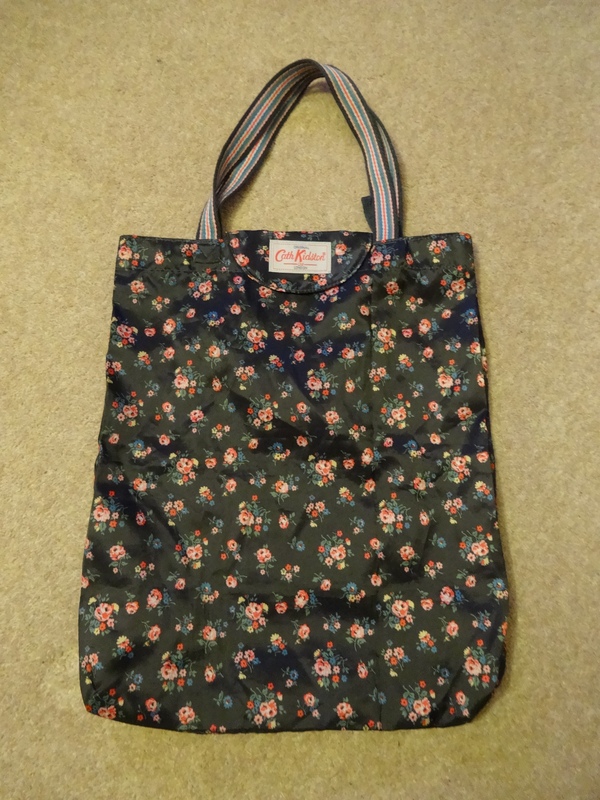 As part of this, I have have been relying very heavily on my reusable bags to hold my excess bits, like books and magazines. My lovely cousin brought this for me a few Christmases ago, and I always have it with me as I have a great hatred for plastic bags, however this month I have relied on it so much. 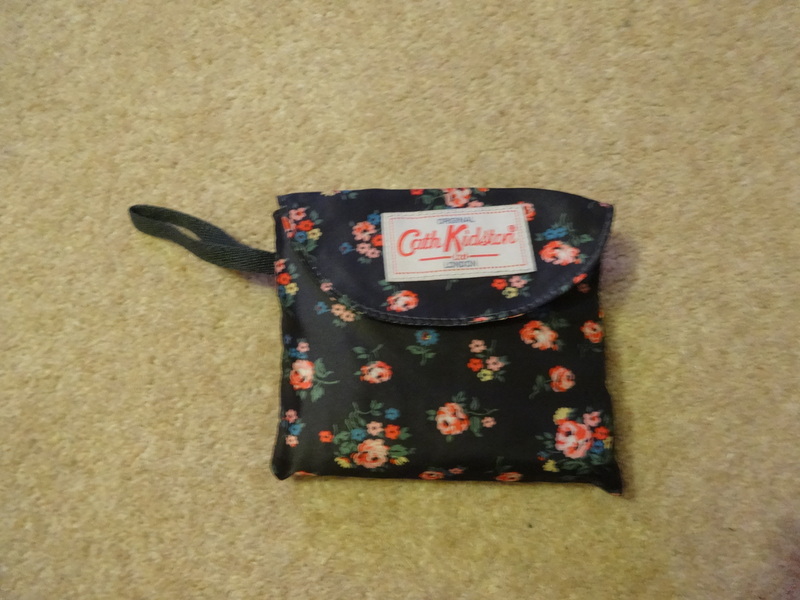 This gorgeous Cath Kidston number folds up super small so it can fit in even the smallest bag, and has the added bonus of a magnetic closure to keep all your goodies extra safe. I hope you have all enjoyed this month favourites. So, what have you all been enjoying this month? I am always looking for recommendations, so anything you can send my way, please do.